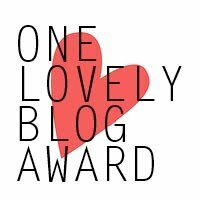 One lovely blog award | Rodposse. I would like to apologize for the delay of acceptin this award..
but as I decide to make a category of them..I remembered an that one too! for nominated me for this award!! Because I have done this for this versatile blogger aword I asked my girlfriend to tell me 7 things about me ..She said that..
Congratulations, and thank you for the nomination! So very nice of you! Congratulations on the award 🙂 Thank you for following my blog! Thank you for including me in your list!